Many parents focus on the risks and dangers associated with gaming. But very few understand that video games have more positive effects than the risks. And because video games have become part of us, it is important for the parents to learn, understand and know the best types of games children can play. So are video games good or bad? Digital games provide the best leisure time for both young and old. But gaming can easily influence kids to neglect essential activities such as home-chores, school work, sleep or exercise. Also, certain video games such as action and the most violent ones can have a negative influence on behavior and aspects of a child. However, not all effects of video games are bad. Most of the video games we have on the market are beneficial and offers long-term positive effects on children, teenagers, adults and elderly people. For example, did you know video games can reduce aging? 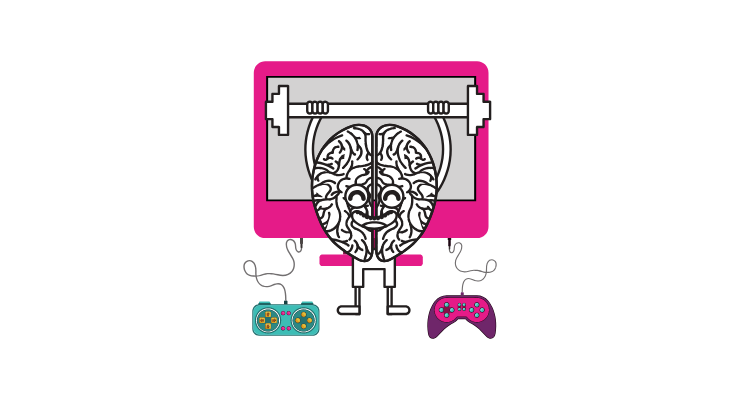 With many other benefits, gaming can be viewed as a positive activity similar to reading books or watching movies. Below are the main benefits of video games. Gaming teaches creativity and enhances problem-solving skills. One main benefit of gaming is that it can teach children and teens creativity. It also helps the children’s brain to develop. For example, when a child plays an action video game, he or she needs to plan, search, negotiate and try many strategies to advance. Also, most modern video games involve planning, strategies and problem-solving. Since most children would always want to mimic the main characters of the game, they develop skills that allow them to be creative and try to understand all the rules and formation of the game. For a video game to be beneficial, it does not have to be categorized as an educational game. More than 90 percent of modern video games can influence the kids to use strategies, make great decisions and develop their thinking skills. Do you know gaming can motivate you or your children to start reading and researching more? There are many video games that can spark kid’s interest in history and culture. Video-gaming can inspire someone to research on geography, world history, international relationships, and ancient culture. Moreover, some video games allow gamers to be creative by designing maps and many other contents. This helps them to acquire technical and creative skills while enjoying gaming. Differing with their parents, children and teenagers view gaming as a social activity but not an anti-social one. It is an activity that creates a good atmosphere for children to make great friends. Gaming also allows children to hang out and encourage each other while playing. According to recent studies, boys are likely to play a video game with real friends or online friends than when they are alone. It also helps to develop communication and leadership skills. Studies also found that boys choose to play certain games so that they can meet new friends. Most gamers say that they learn new moves from sports video games. For instance, while playing a basketball video game, you are likely to notice and learn new tactics that you can apply in real life. Also, some people develop an interest in many new sports or exercises after being presented to them while gaming. In a study focus group, one digital game player said sports games are like real teachers. You can see the characters doing amazing plays, and once you practice them, you become better. This means gaming can inspire people to exercise. Children, especially boys love competition. It is also healthy and beneficial for kids to compete with their age mates. And since, most kids always want to be recognized, gaming is a nice activity that can bring joy in their lives. Boys love playing video games in groups so that they can compete and win. Gaming is also a nice place to express competitive desires. It also gives kids who are not good in other areas a chance to shine. Gaming is an amazing activity that allows children from the smallest to the biggest to lead. For instance, when they are gaming in groups, they normally take turns to lead and follow each other. Based on research, kids who are involved in gaming develop leadership skills than non-gamers. Online video games provide a chance for children to lead while playing internationally. This is a great feeling that helps to develop leadership skills and inspire children to become leaders. Research shows that 25 percent of children, especially girls play video games so that they can teach others about the game. Also, most of the communications in games are about how to play or solve certain situations within a particular area. The interaction is about how to move from one level to another, how to collect weapons or how to defeat a stubborn enemy. Some kids have even gained some status as being the best teachers when a specific game is concerned. By teaching others, a child can develop communication skills, social skills, and patience. It is possible to see a ten year-old child teaching her dad how to play a video game. It is a great feeling seeing your child becoming an expert and teaching others things he or she has learned from gaming. Also, since most digital games are fun and entertaining, family members can compete with each other. This makes kids shine even at home. Playing a game side-by-side with your children can encourage conversation, solve family problems and bring people together. If you are looking for a great activity that can benefit you and your family, gaming is one of the best. However, moderation is essential. There are some video games that can easily influence kids or make them neglect their duties or school work. Parents must establish a time limit on how longs kids should play video games. Do Video Games Affect Hand Eye Coordination?